In addition to unveiling the Concept Active Tourer plug-in hybrid and 2014 328d diesel, the Bavarian brigade will show the 3 Series Gran Turismo (GT) for the first time in the United States. For those of you who don’t speak BMW, “Gran Turismo” is the wonderfully romantic name the German carmaker uses for high-roofed hatchbacks based on its luxury sedans. 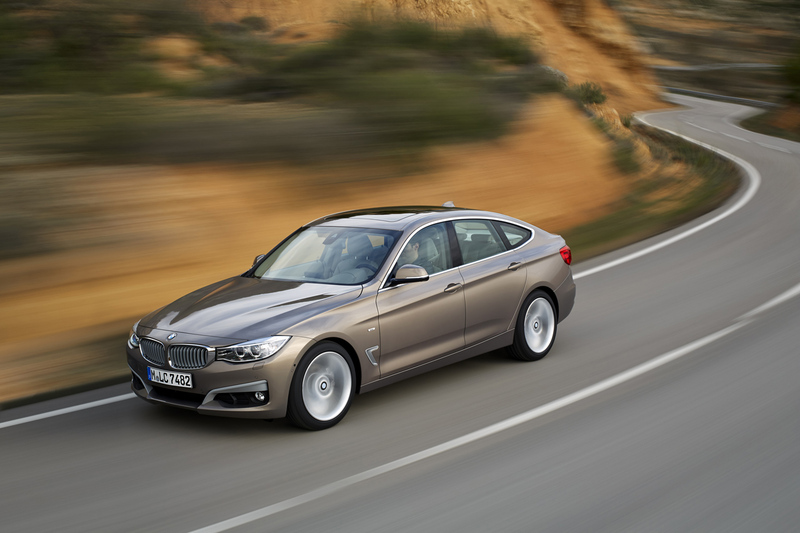 The 3 Series GT will further expand the 3 Series range, and complement the larger 5 Series GT in the company’s lineup. What buyers will get is a stretched wheelbase and a taller roof with a crossover-style tailgate, all adding up to extra cargo space. This is definitely an exercise in function over form: even a dramatically sloping roofline can’t save the 3 Series GT (or its 5 Series sibling) from terminal ugliness. Under the skin, the GT is all 3 Series. Like the 2014 3 Series sedan and wagon, it will be offered as either a 328i, with a 240 horsepower, 2.0-liter turbocharged inline-four, or a 335i, with a 300 hp, 3.0-liter turbocharged inline-six. An eight-speed automatic transmission will probably be the only option, and BMW’s xDrive all-wheel drive may also be offered. Like the regular 3 Series, the GT will also be offered with several aesthetic trim packages, including Sport Line, Luxury Line, Modern Line, and M Sport. We’ll have all the details on the 2014 BMW 3 Series GT when the 2013 New York Auto Show opens next week. Will it be a niche hit or an ugly flop? Tell us what you think in the comments.